In The Kitchen with America Eats Tavern: The Story of America’s Culinary Pilgrimage | Exploring Food & Drink in D.C.
José Andrés’ newest adventure, America Eats Tavern located on the fourth floor of the Ritz-Carlton in Tyson’s Corner, is all about the story told through food. This story is America’s culinary pilgrimage, and Andrés takes us through with elegance from oysters, to the classic chicken potpie, to the comforting cobbler. Needless to say, we were excited to see what Andrés had in store for us. As we waited, we ordered two of American Eats’ signature cocktails, the Green Acres and The Peach Grove, which both featured local spirits and ingredients. 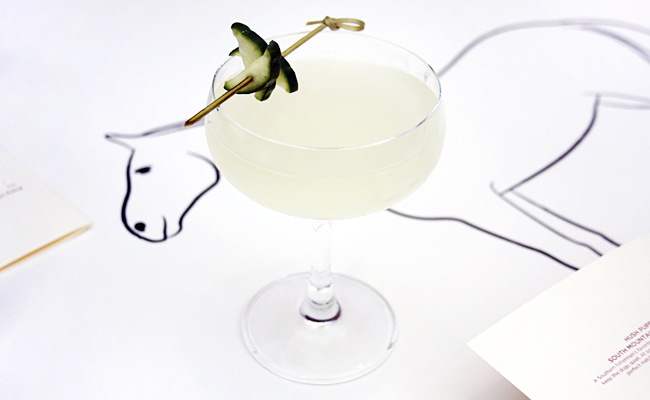 The Green Acres, with vodka cucumber, fennel, lime, grapefruit bitters, is an incredibly refreshing drink. Subtly strong but not overly sweet, I decided right there and then that I wanted to drink this cocktail forever. 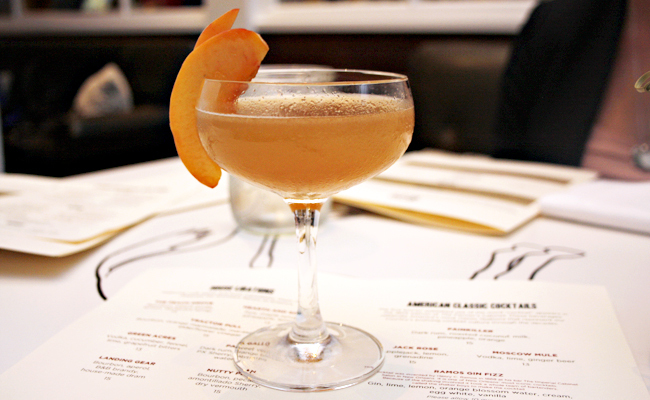 The Peach Grove, with bourbon, peach puree, lemon, and demerara syrup, was sweet and fruity. Definitely a good option if you want a more of a flavorful drink. We moved on to two of the crowd favorites for appetizers, the Shrimp ‘N’ Grits and the Vermicelli “MAC” ‘N’ Cheese. The Shrimp ‘N’ Grits, with Byrd Mill Grits, Meadow Reserve Cheddar, and pearl onion petals, is an impressive mix of flavors and textures. The well seasoned shrimp alongside the zesty combination of grits had us wishing we had saved some of the bread to scrape up the bottom of the bowl. The “Mac” ‘N’ Cheese is very different than your average bowl of cheesy noodles. More of a latka (potato pancake) in texture, this dish was not the prettiest to look at, however the flavor and delivery of the dish was absolute perfection. Creamy, but not cloying, the Vella Dry Jack Cheese and the cooked thin noodles were perfect. Definitely a dish we will get again. Perhaps next time we will add some King crab into the mix. Somehow, after we managed to plow through 3 courses, we found room to savor one dessert. We agreed to share the Peach Cobbler served in a small mason jar with vanilla ice cream on top. It tastes exactly how it sounds, like home. All that was missing was a second stomach so we so desperately needed. 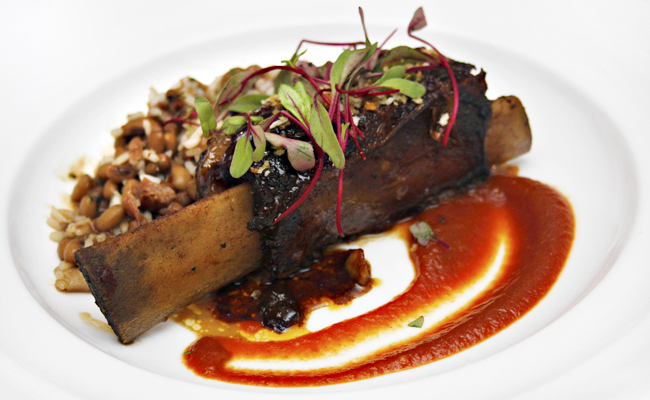 All in all, there are few restaurants that have earned a perfect score. However, from the laid-back but classy ambiance, to the excellent service, to the incredible dishes, America Eats Tavern earns our praises. 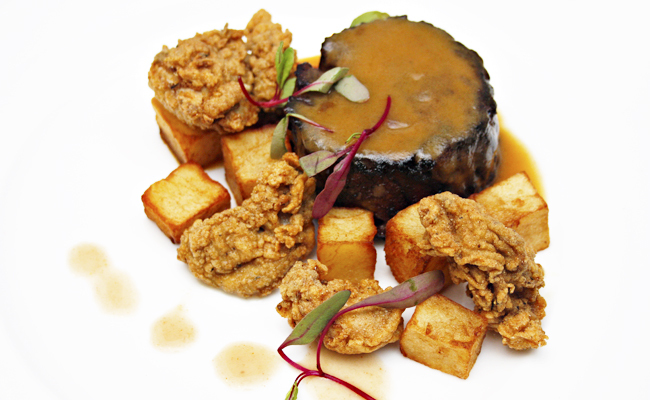 Tags: America Eats Tavern, American Cuisine, Jose Andres, Ritz-Carlton, Tyson's Corner. Bookmark the permalink. It sounds like they have an amazing menu! Yum! I love the idea of a story told through food. This sounds amazing! It sounds like you had a wonderful meal. We will have to try this restaurant if we are ever in the area. The Peach Grove sounds incredible! What a great Menu. I love when desserts are served in cute little mason jars! The Vermicelli “MAC” ‘N’ Cheese would be an appetizer that I would love to try! I love the mixed drinks too! oh that sounds like good country food! What a great menu selection! Peach cobbler is my FAV!!! Blackberry butter?? Yes please! That sounds amazing! This sounds so awesome and it looks like they have a fantastic menu too! Wow! Those look like great dishes! I definitely love flavorful drinks so I know I would have enjoyed it! I am so used to hearing about fish and grits. 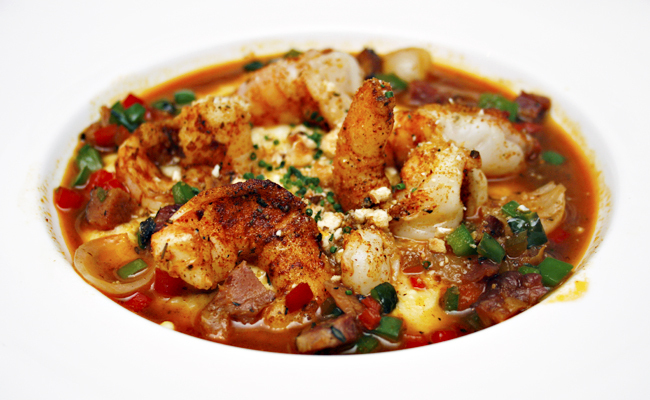 However, shrimp and grits is definitely more appealing to me. 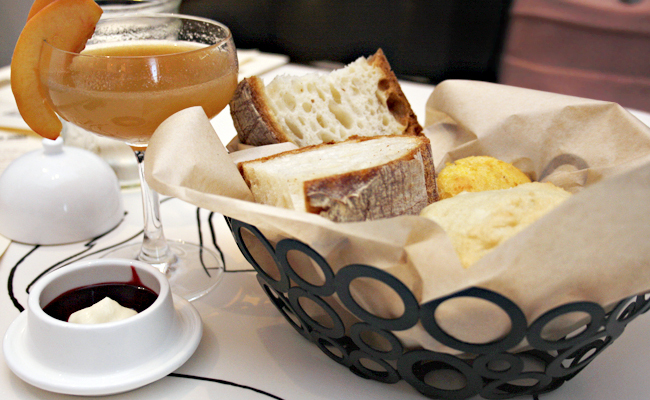 You had me starting with the bread basket. That sounds positively delectable! Wow, this place sounds really good and upscale! I’ve never tried mutton! Everything looked delicious! Wow! This place sounds amazing! Might have to make a trip there soon. This place sounds amazing! I love good food and being a foodie, we are always on the lookout for new recipes.